If you often hear the call of the Advil bottle, chances are you are dealing with a heavy burden of inflammation. Inflammation is our body’s method for bringing healing to a damaged site and repairing tissues, and is the root of all pain. 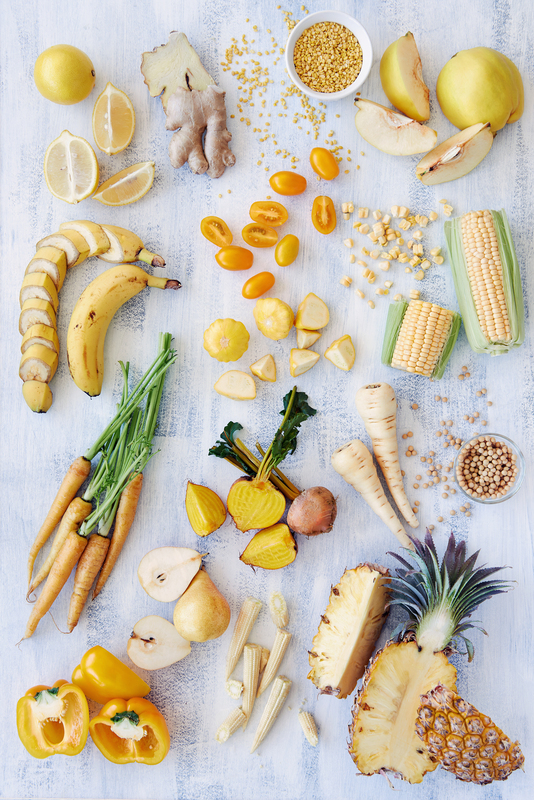 Inflammation can be rooted in an accumulation of toxins, from mechanical injury, from pathogens like viruses, from poor digestion and elimination, or from a poor diet, among other sources. Bodywork is a wonderful first step in any effort to fight inflammation and pain. Massage mobilizes the toxins we need to be able to excrete from around our cells, and gets them headed out of the body. Massage also promotes healing of tissues by bringing increased blood flow to damaged areas. Finally, massage activates the lymphatic system, which is the body’s garbage disposal and immune transport system. Unfortunately, without good nutrition, none of these systems can work well. Without proper hydration, our toxins and lymphatic system can’t flow. Hydration is also key to keeping our tissues and joints lubricated well, allowing them to heal. And a diet full of good nutrients gives our bodies the energy and raw materials needed for removing toxins and fighting inflammation. Got joint pain? The cartilage that cushions your joints is composed of 80% water. Increasing your hydration should be your first step in reducing popping, clicking, swelling, and pain. Strive to drink half your body weight in ounces of water every day (i.e. 160 pound person drinks 80 oz. a day), to a maximum of 100 ounces. Antioxidant vitamins like C, E, K, and bioflavonoids, found in dark leafy greens and fruit, can be helpful in combatting the free radicals that damage the synovial fluid inside the joints. Your diet should also be high in good-quality essential fatty acids to fight inflammation. If you’re not a fan of oily fish like salmon and sardines, you might consider a fish oil supplement daily. Dump the sugar. Sugar is a very inflammatory substance. A diet full of sugar keeps our blood sugar high. Elevated blood sugar blocks the body’s pathways that fight inflammation, and promotes the pathways that create inflammation. Eliminate all added sugars from your diet (sugar, honey, maple syrup), as well as refined white flour (which also spikes your blood sugar). Remember, artificial sweeteners can increase cravings for actual sugar. Better to work on resetting your palate by eliminating sweeteners altogether. Don’t fear fat! Good fats are anti-inflammatory, as they are the building blocks for our inflammation-fighting compounds. They are also necessary for the absorption of fat-soluble vitamins, which include the antioxidants E and K. Fats in the diet are also key to controlling sugar cravings. Bad fats—like hydrogenated oils, margarine, and canola oil—actually create inflammation in the body. Try to incorporate good fats like coconut oil, olive oil, grass-fed butter, and avocados into every meal. Love your liver! The liver is the master cleansing and purifying site in the body. Among its many jobs, the liver cleans the blood, removes toxins, and allows these neutralized toxins to be packaged up with bile and excreted out of the body. The liver and gallbladder need to be healthy, with good-quality free-flowing bile being produced, for this process to work. Most of our livers, however, are bogged down by diets full of carbs and sugars and processed foods, while the gallbladder’s bile flow is stagnant from low-fat/poor fat diets. Your diet should be full of good proteins, like pasture-raised chicken and wild seafood, which are broken down into the amino acids that are used in the liver’s detox chemical reactions. Avoid refined and processed foods, and chemical additives and preservatives. Eating beets and drinking dandelion tea (not necessarily together!) are great ways to support your liver’s detox pathways. Ellen Lovelace, MPH, NTC, RWP helps health-challenged people to overcome the confusion and nutrition “noise,” and achieve optimal wellness through the use of whole foods-based nutrition ,and functional testing and support. She helps clients focus on what they CAN eat, finding good alternatives to not-so-good choices. Ellen specializes in digestion issues, blood sugar regulation, food sensitivities, hormonal balancing, and general wellness counseling. For Therapia clients, Ellen is offering her initial intake and nutritional assessment for $150 (normally $225). Your in-depth health history, 5 day food journal, and online signs and symptoms questionnaire are used to create an individualized nutrition plan and recommendations for next steps. Contact her at ellen@abalancedtable.netor 408-547-7480 to schedule.